Founder & Director of AfroLatin Egypt, a group of AfroLatin Dances teachers & dancers, also the organizer of AfroLatin Dance Festivals in Egypt. Started teaching internationally in 2011, as he was represented for the first time by Rodchata Enterprise to teach Kizomba at 3rd San Francisco Bachata Festival. He was trained by some of the best teachers around the world on different dance disciplines (mainly Kizomba/Semba & Zouk), also he’s certified with “Kizomba/Semba Teachers” training by Petchu & Jazzy Dance Studios. Dance Background: Kizomba, Semba, Zouk, Tango Argentine, Salsa, Bachata, Jive, Rumba, Cha Cha, Rueda De Casino, Rueda De Bachata & a little of more. 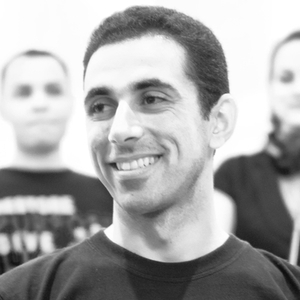 Amr is an Ex-Special Forces Officer, certified with many courses, from how to be a trainer to Commandos & Parachuting Instructor, and has been training different things since 1999 & dance since 2008.